Back when I was a young'n I was introduced to the JRPG genre relatively late. 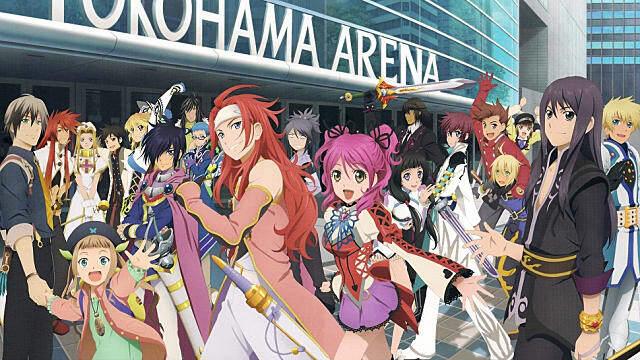 One of my favorites however, was Tales of Symphonia. I didn't play a Final Fantasy game until 5th or 6th grade and it wasn't until high school that I found out about the Tales of series. 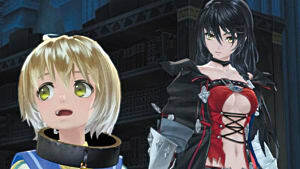 When I did happen upon the series, I had blasted my way through just about every mainline Final Fantasy game, and found the Tales of series provided a wonderful change of pace while still satisfying my new found JRPG itch. 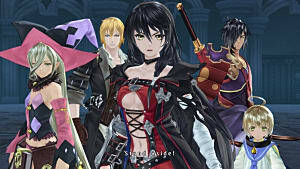 The Tales of series isn't doing so hot though. Each game feels like a copy and paste of the previous one in terms of style and mechanics. Almost every game has you starting out as a swordsman protagonist each with very similar, or exactly the same move sets. The same can be said for later characters as well. Casters have largely the same spell pool, a character will be introduced who excels in aerial combat, etc. This is repeated in each game. 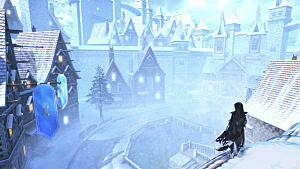 Beyond combat, they introduce the sorcerer's ring in almost every game as well. The sorcerer's ring being an out of combat magic blast used to give power to, or move objects from a distance. This detracts from the amount of creativity and differences in puzzles between the games. Even the games that try to fix it like Tales of Hearts R, which added multiple modes to the ring, only use them for one or two sections. Afterwards they're seemingly forgotten. The only things that ever feel different are the stories. Which is kind of a given, but even that aspect of the series has been feeling a bit rehashed as of late. Previous entries were self contained epics. 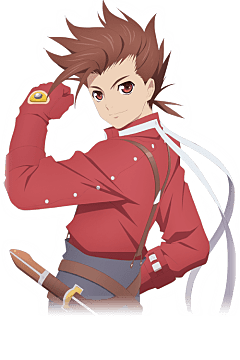 Tales of Symphonia for instance starts as a tale about a pilgrimage to restore the planet's mana, an energy source that is needed both for magic and to support life itself. Along the way though you find out that there is a cost that must be paid in order to do so. The more recent games however, start of with nice self contained stories about beings who control elements, stopping the destruction of the planet. Then they get largely unnecessary direct sequels. Making it seem like the creators have given up on making each game take place in it's own grand setting. Opting to reuse the previous one. All of this recycling makes it seem like the series is desperately trying to cut costs. After Tales of Symphonia many of the games had an abundance of reused assets. 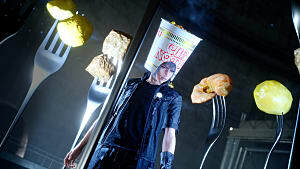 Mainly when it comes to consumable items, but even some NPC's are identical. As time went on though it got worse. When they make a direct sequel, they have an excuse to use almost all of the same locations from its predecessor. Basically, it seems to me that the company producing the games has hit a happy equilibrium. The series has started to cut corners to turn as much of a profit as possible. Why make the effort to produce top quality content when mediocre makes more money? I understand that as a company that have to operate in ways that aren't always in the benefit of the consumer. But seeing a little more effort put into the series would be appreciated. 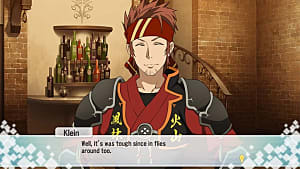 Many of my worries for the series as a whole hit their peak with Tales of Zestiria. 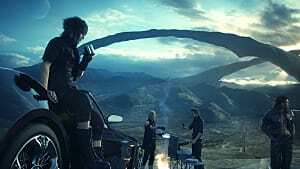 Between the bland additions to combat mechanics, a majorly unlikable cast of characters and glaringly obvious cut content the game feels rushed and wholly not fun. 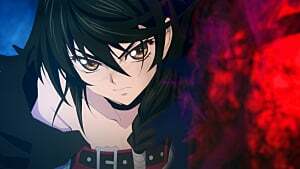 Now Tales of Berseria is just around the corner for western release. I've done everything I can to go into it blind. 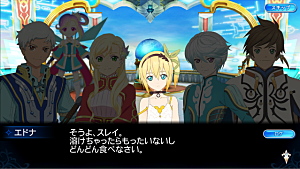 Admittedly though I don't have high hopes for it due to what I do know of the game's story being a prequel to the extremely underwhelming Tales of Zesteria and the characters appearances. 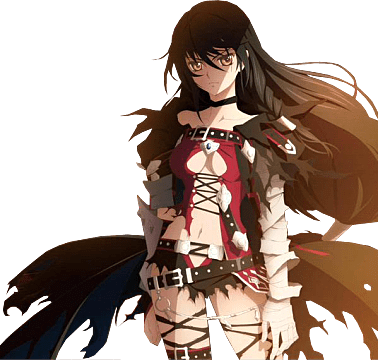 Hopefully all my worries for the series and its future can be squashed after playing Tales of Berseria though. I've always loved the series for it's fast paced, sometimes strategic action RPG playstyle and world building. I would love for it to prove my cynicism wrong so I can enjoy another game in a childhood favorite series.